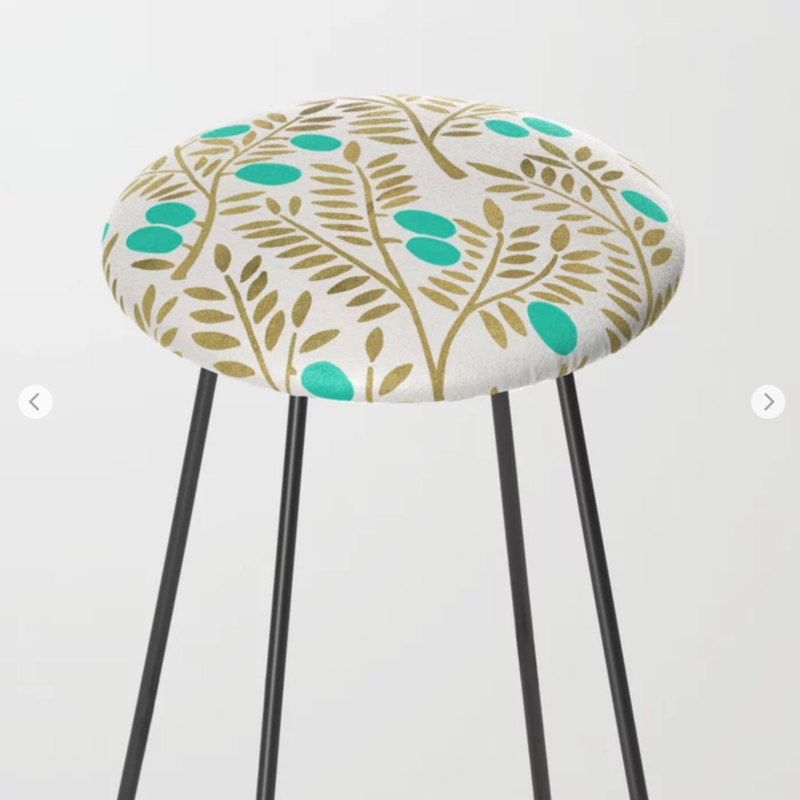 Introducing the latest product line to hit my shop: furniture! 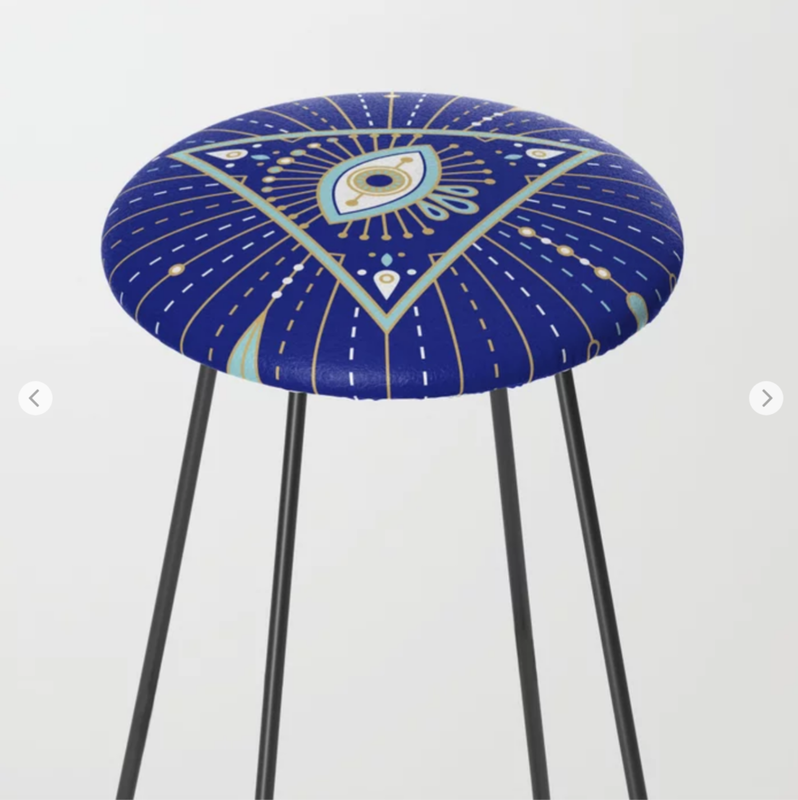 I’ve partnered up with Society6 to bring you my designs on credenzas, coffee tables, side tables, benches, bar stools and counter stools, which will add a bit of your personal vibe to every space. Adulting never looked so good. “Black Bamboo” credenza available here. 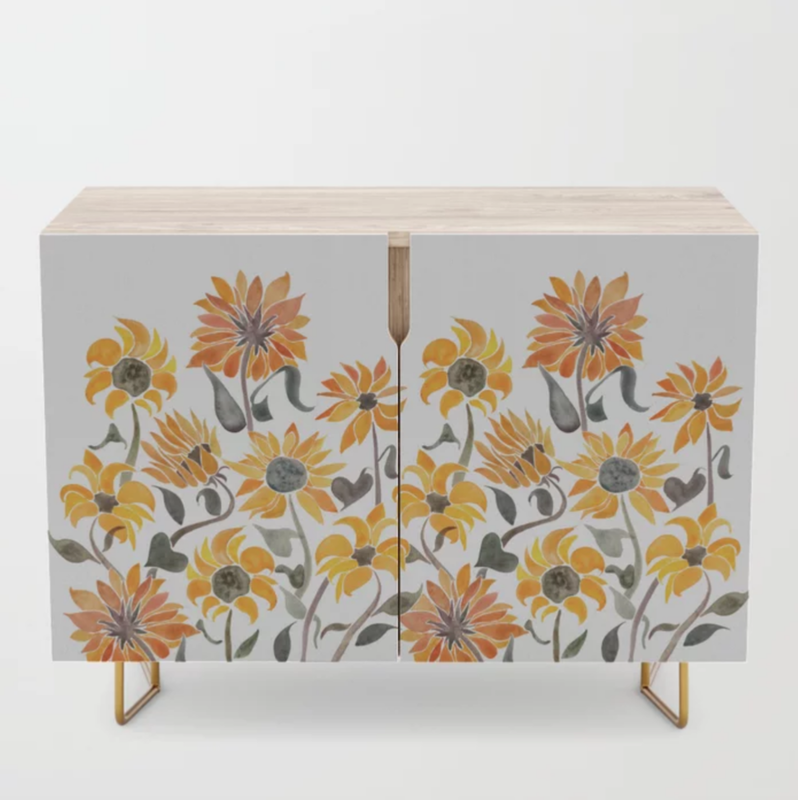 The star of any space, these mid-century modern-inspired credenzas are statement makers and versatile pieces of furniture, great for use as TV stands, armoires, bar carts, office cabinets or the perfect addition to your bedroom set. 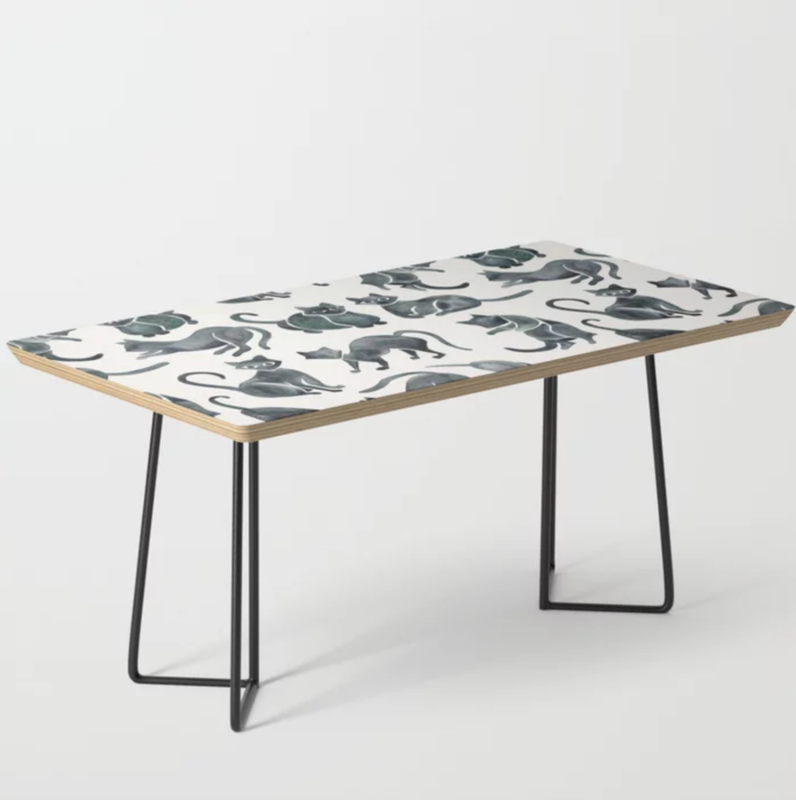 Built with mid-century modern styling, our coffee table complements any interior aesthetic—from vintage to contemporary. Best of all, the minimal approach lets the artwork shine as a design centerpiece. 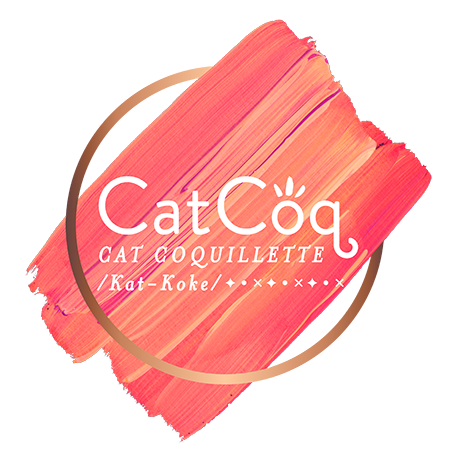 Legs are available in black or gold options. Put your sidekick in the spotlight. 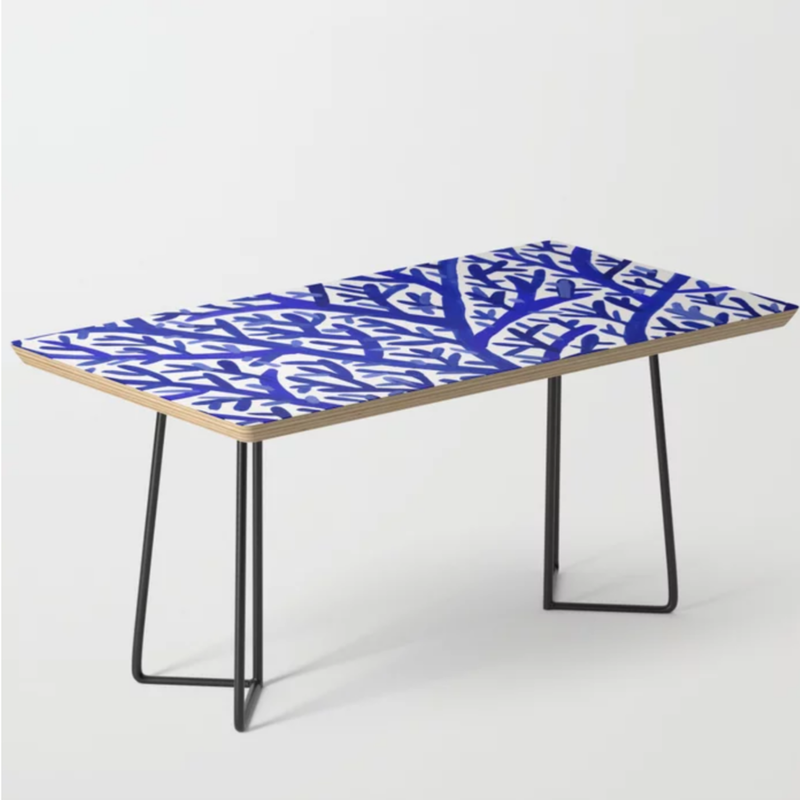 Our side table is crafted with sturdy birch wood and finished with a high quality print. 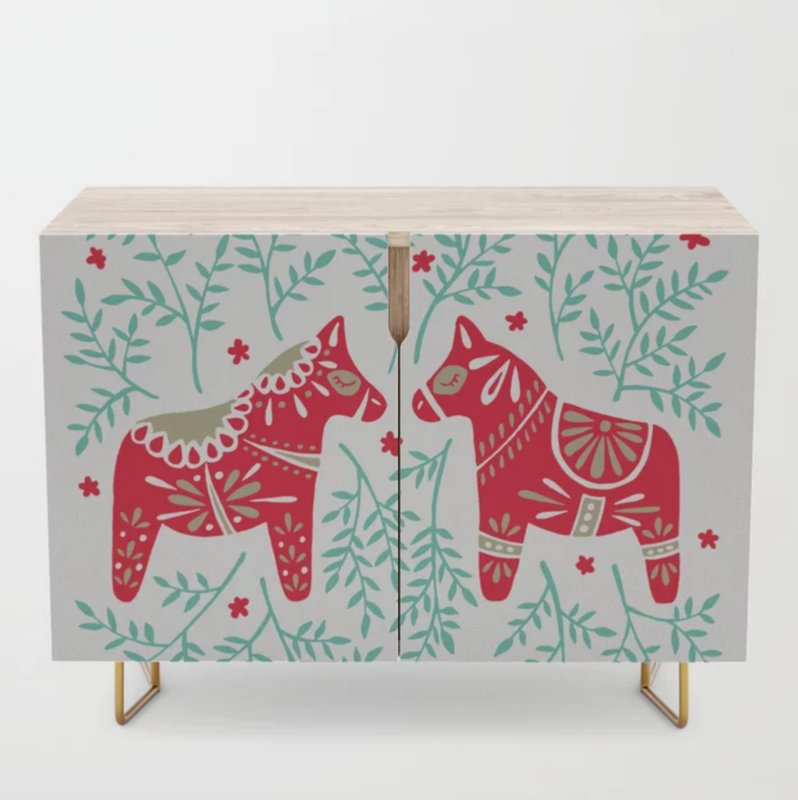 Choose designs to brighten up your bedside or add unique accent tables to your space. Available in square or round options. 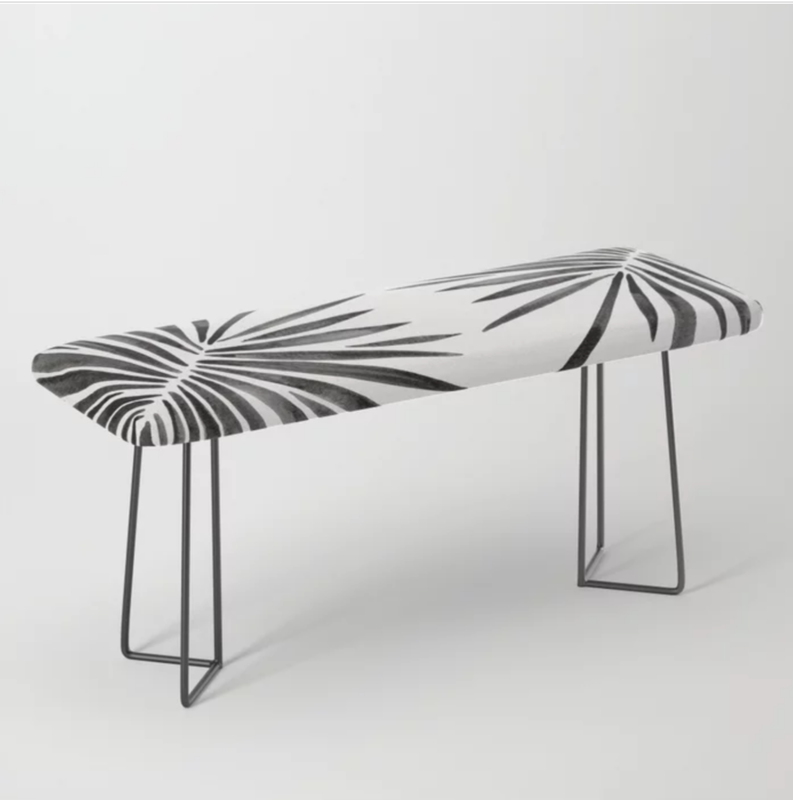 Park it in style on this incredibly versatile bench featuring all the designs you love. 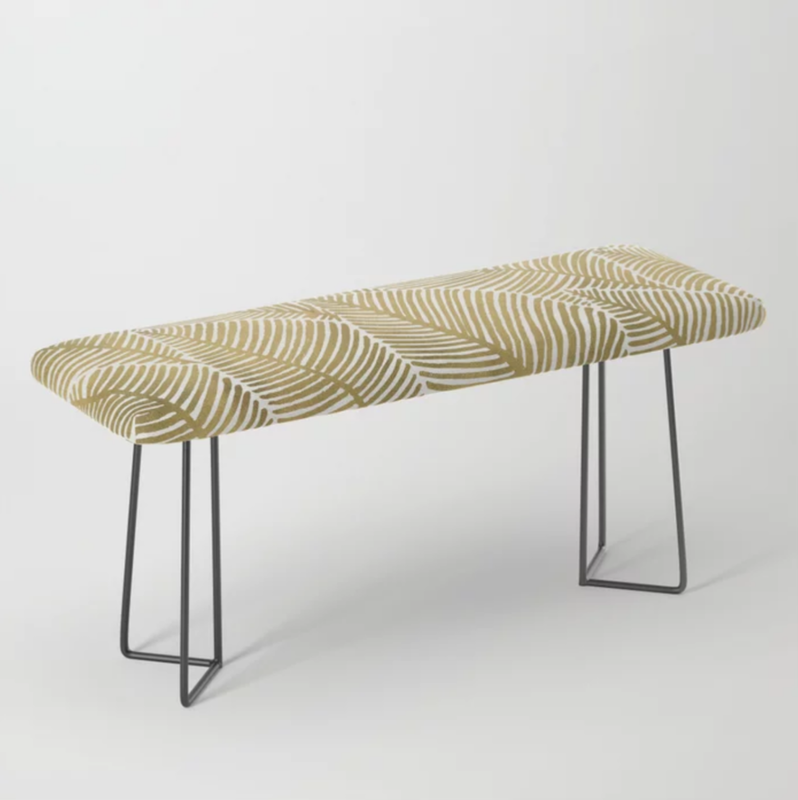 The perfect indoor bench, it will give any space an instant upgrade. Style it with plush blankets or throw pillows to keep it elegant, but super cush. Our counter stools pack all the punch of our bar stools, but with a slightly shorter frame. 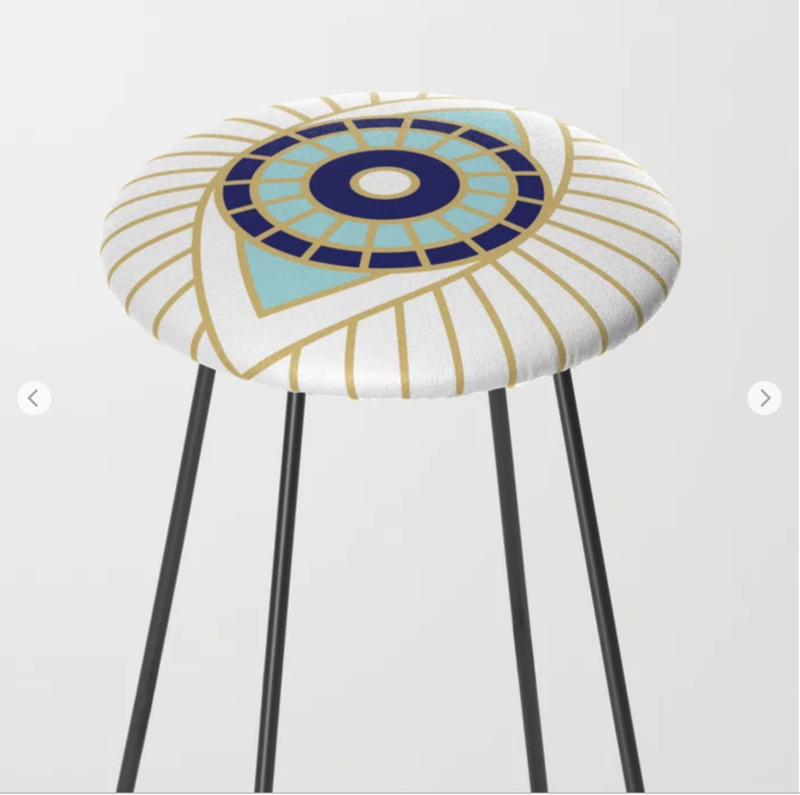 Available in thousands of designs, these babies will complement any home decor style. 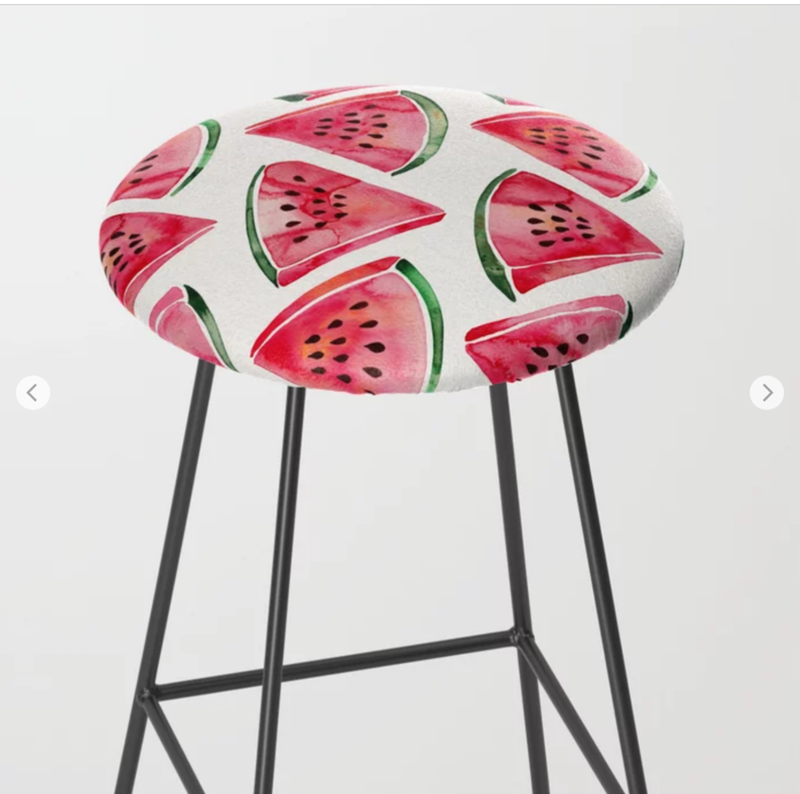 These are a perfect addition to any kitchen or home bar and can be used as dining room chairs or standalone extra seating. These bar stools set the bar high when it comes to seating. Made with durable steel, these will breathe new life to any blah kitchen. Pull them up to a counter at your home bar or use them as a stylish alternative to dining room chairs.